Would you like to use your Google Sites content within Happeo pages. This article takes you through setting this up step by step. The first thing you need to do is ensure that your Google Sites settings are correct. You can do this by going to Google sites the clicking on Settings->Manage Sites-> Scroll down to the security part of the settings and ensure that "Allow embedding of your site in other sites" is turned on. 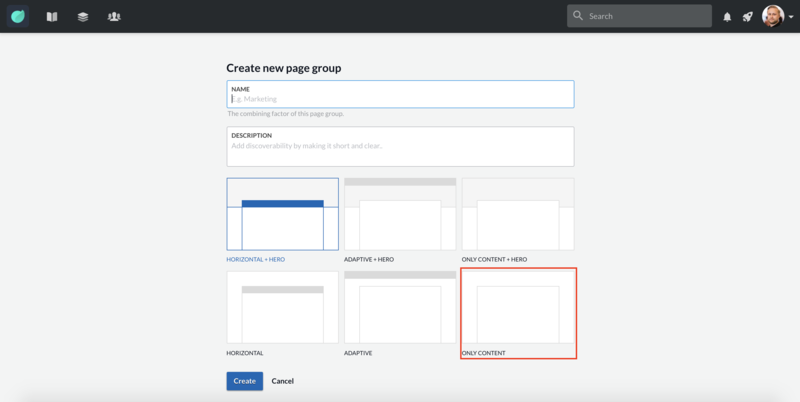 Create a new Page Group and ensure you choose the "Only Content" layout. Next go to Page Group Styles and create a new Page Group Style that for Google Sites content. You do this by going to My Styles and start editing. In the Page Group Styles go to Page Layout Details->Content. In the Content section change the width to 100%. Then go to Section->Widget Spacing and change it to 0px for top, bottom, left and right. Finally, go to Widgets->Padding and again change to 0px for top, bottom, left and right. The final step is to use a iFrame Widget display the content. Go and copy the Google Sites URL then paste it into the iFrame Widget under the URL option.